Shoal Creek is located on gorgeous rolling terrain in West Plano, it is situated just north of The Hills at Prestonwood in the Midway Corridor. 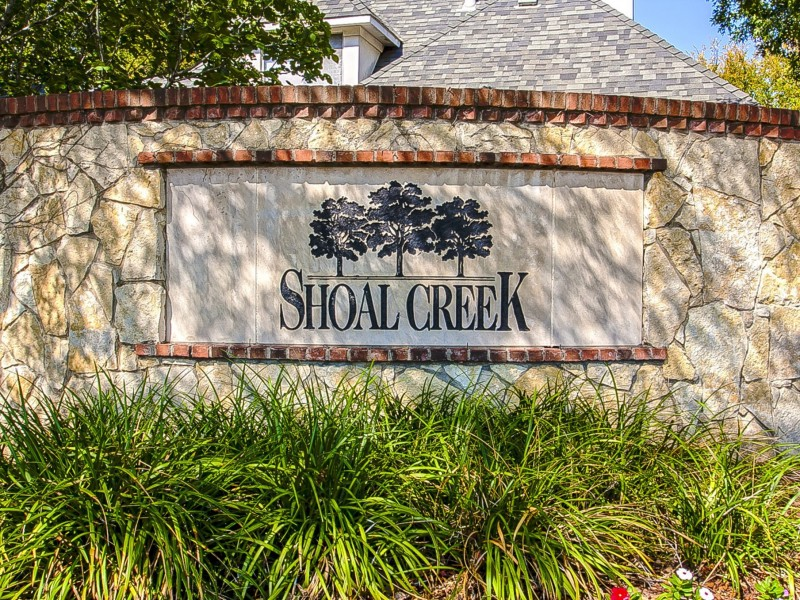 Shoal Creek is located on the most rolling terrain of West Plano, it is situated just north of The Hills at Prestonwood in the Midway Corridor. It is a superb collection of high end homes generally constructed in 1995 and later. 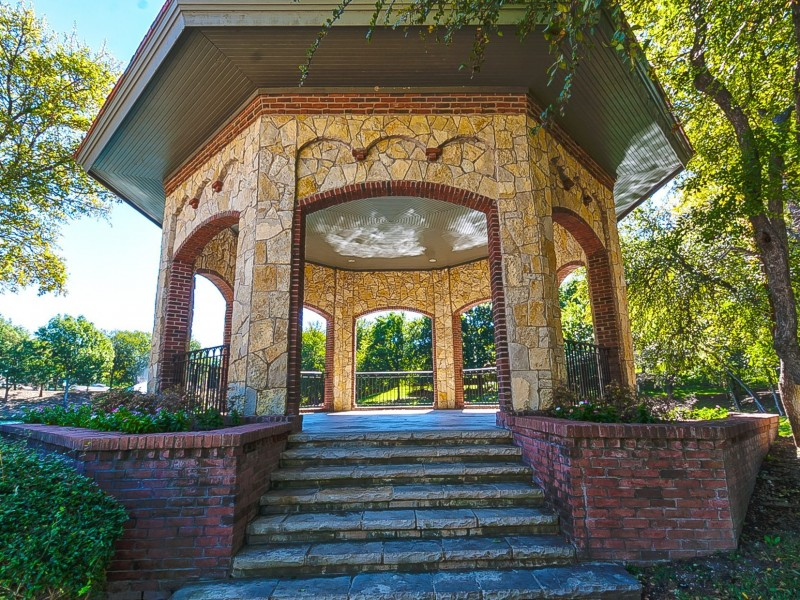 When you first drive in the community off of Midway you are greeted by a private lake with fountain and gazebo that is breath taking. Other amenities include neighborhood parks, greenbelt, jogging-bike path and children’s playground. It is a 150 acre planned community development, around 330 acres of Shoal Creek Homes for Sale & Real Estate. Lot sizes are large here, typically .25 to .5 acre. Many of homes are situated on wooded lots on winding streets that are both private and conveniently located to schools, shopping, highways and any convenience you desire. The neighborhood is known for quality builders and a homeowners association that keeps the community informed and unified. There is a beautiful zero lot line community that has its own HOA and only they have access to the fitness center and community pool. It’s the opening price point of Shoal Creek. $300K and up. The school district is Plano ISD & Lewisville ISD, the funny thing about West Plano is that West of the tollway the school boundaries are skewed in almost every neighborhood, so you need to carefully look at the schools if that is an issue for you. With so many unique floor plans and home styles its easy to see why so many people are flocking to the community. Shoal Creek is primarily pre owned, single family homes and is perfect for the first time homebuyer or a family looking to move up in size. Shoal Creek Homes for Sale & Real Estate ranges from around $250k to $1.8 million. Information about Shoal Creek Homes for Sale and Shoal Creek Real Estate can be found calling or stopping by our office located just East of Shoal Creek in the master-planned community of Castle Hills. Stop by or call Renee Mears Realtors for a list of currently available homes in Shoal Creek. When looking to buy a home in Shoal Creek or sell a home in Shoal Creek it is always best to use an experienced Shoal Creek, Plano Realtor. If you are interested in Shoal Creek Homes for Sale & Real Estate call Renee Mears at 972-489-0828. ALMOST $300K IN UPDATES! .45 Acre Oversized Lot! Complete Outdoor Remodel w Resort Style Pool Area w Outdoor Kitchen, Expanded Hot Tub & Stone Decking. Backs to Mature Green Trees w Complete Privacy. Chef's Kitchen Boasts CommGrade High-End Appliances, Wolf Range, Double Ovens, Warming Drawer, 2 Refrigerators, Freezer, SubZero Wine Frig, White Quartz, Updated Lighting, & high $ cabinets and finish. Master Suite w Fireplace, New Hearth, Steam Shower, Quartz Counters & Framed Mirrors. Guest Suite & Study Down. 4 Beds, Media & Game Up. Other HS Hardwoods, Updated Fixtures, Plantation Shutters, New High-End HVACs & Water Heaters, Outdoor Speakers, WIFI Garage Doors, Fresh Paint & MORE! Spectacular true custom offers rare opportunity on gorgeous, private wooded creek lot in heart of Plano. Awe-inspiring 21 ft ceilings welcome you into this stunning entertainer x2019;s dream home! Elegant dining area perfect for hosting dinner parties w sliding door leading onto private patio. Chef inspired kitchen boasts 5 Star 6-burner gas cook-top, abundance of cabinet & counter-top space for prepping. Owners retreat offers fireplace & priceless view of backyard. Living & entertaining areas look onto backyard as well. Ovrsizd 2 car garage offers half-court basketball court, 1.5 car garage includes large workbench & cabinet. Game rm, garden, mud rm, study & more! This home is one of a kind! This is an amazing contemporary style home. Gorgeous hardwood floors throughout the downstairs. Newer carpet throughout the upstairs. Huge open kitchen with so many amenities. Plenty of room in the backyard to play and entertain. Huge secondary bedrooms with custom built-in closets. Downstairs private study. HOA covers front yard maintenance and a stunning community pool and facilities. Property does NOT back up to Spring Creek. Stunning Soft Modern-Contemporary Home in Shoal Creek, Half Acre Lot with Pond Views! New Hardwood Floors Throughout and New Carpet. Private Master Suite with Sitting Area, Tray Ceiling, Jet Tub, Doorless Shower, Private Door to Backyard & Oversized Closet. Open Kitchen with Granite Countertops, Built In Refrigerator & Gas Cooktop. Study Off the Foyer with Built Ins & Double Doors. Private Guest Bedroom Downstairs & Full Bath. Additional Features Include Gameroom, Ample Storage, Abundance of Natural Light & Solid Doors. New Roof, Gutters & Exterior Paint. Stunning Oversized Creek Lot, Sides to Greenbelt! Concrete Stucco with Gorgeous Hand Scraped Hardwood Floors Throughout, Entire House Has Recently Been Painted, New Carpet, Plantation Shutters, Almost all the Windows Have Been Replaced! Chefs Kitchen with Granite, Stainless Steel Wolf Appliances, Subzero Refrigerator, 5 Gas Burner Cooktop, Convection Steam Oven, Warming Drawer, New Kitchen Cabinets with Restoration Hardware Pulls. Private Master with Fireplace, Updated Bathroom with Free Standing Tub, Seamless Glass Shower, California Closet. Private Office or Exercise Room Located off Master Bath. Private Downstairs Guest Suite with Bath Remodel. Gameroom with Balcony, Media Room. Retractable Phantom Screens. Beautiful custom home on one of the largest lots in Shoal Creek overlooking creek and heavily treed greenbelt. Great for entertaining with its open concept, wet bars, 400 plus bottle temp controlled wine room and outdoor kitchen. Enjoy the gorgeous views out expansive windows from many rooms, large covered stamped concrete patio with wood burning fireplace, second floor balcony and martini pool and spa. Other amenities include upstairs playroom, TV room with wet bar, chef x2019;s kitchen with sitting area, three fireplaces, large interior storage closet, many custom extras and all 5 bedrooms are ensuite. This beauty has it all! Custom Estate boasts immaculate living areas, countless upgrades, and backyard oasis. ROOF AND CUSTOM GUTTERS REPLACED MAY 2018! Stately appeal w stone elevation, mature landscaping. Wrought iron doors lead into the magnificent foyer, complete w hardwood staircase, marble flooring. Stunning formal living offers access to library, dining, guest bed down. Spacious kitchen w updated apps, backsplash, counters, wet bar. Family room is an entertainment haven w a two story stone fireplace with rich wood mantel, backyard views. Master down w true spa-like bath with steam shower. Sparkling pool, spa w water feature, gazebo, fireplace in the picturesque backyard. 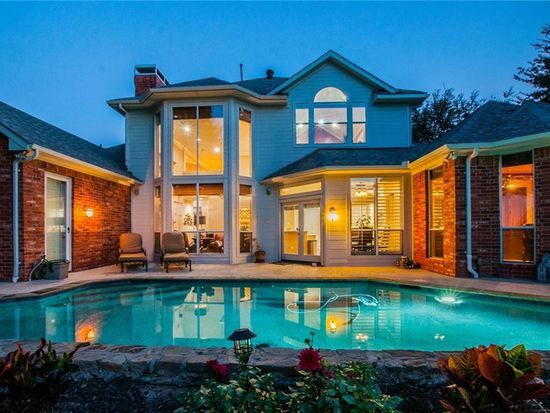 What's your Shoal Creek home worth?